While many of the legendary football atheletes at the age of 33 were in the verge of retirement or going through downfall of their amazizng career in football, and here comes the one of the best player in the world today who hasnot hung up his boots yet, Cristiano Ronaldo has been transferred from Royal club in Spain, Real Madrid to legendary club in Italy Juventus in a one of the record signing amount of 100 million Euro. 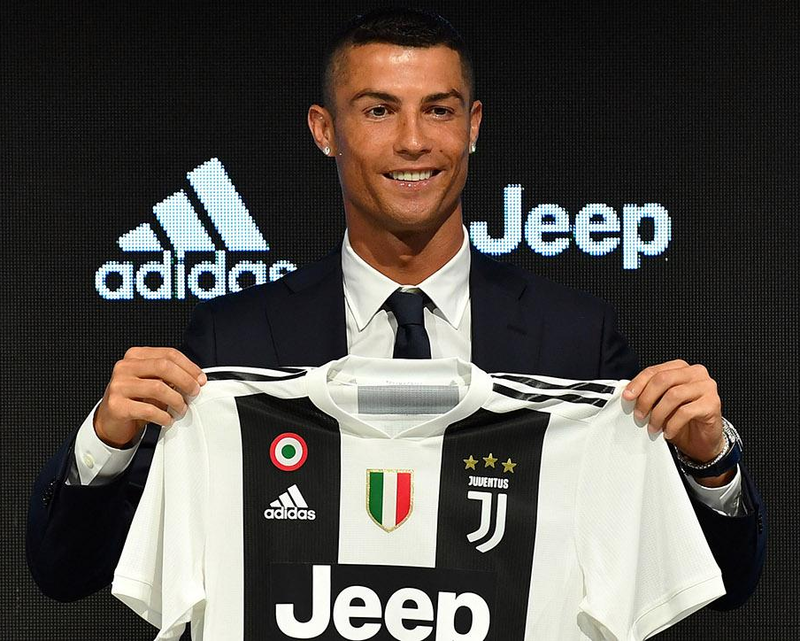 Cristiano Ronaldo became the first player above 30 yrs old to be transferred with huge transfer amount and also the first player Juventus bought with high price. It all seemed like Cristiano Ronaldo and his madrid fans were sure about him playing in white shirts for few more seasons and retire from the same club. With president of Real Madrid, Florentino Perez not wanting to renew his contract for Real Madrid, rumour started that Cristiano Ronaldo wanted to leave the Real Madrid this time. It was just like a dream when it really happened during FIFA World Cup 2018. It all started when Manchester United Manager Sir Alex Ferguson spotted Cristiano Ronaldo in Sporting Lisbon, where the Ex Manchester United manager successfully landed wonder kid Ronaldo to Manchester United in 2003. Here at Manchester United, Sir Alex Ferguson helped Ronaldo to grow as a complete football player. Cristiano Ronaldo won number of trophies for the club and to himself during Manchester United tenure. Cristiano Ronaldo won FA Cup as his first trophy for Manchester United. Later he also won 3 successive Premiere League, FIFA Club World Cup which won him his first prestigious Ballon D'or Award in 2008 as well. Cristiano Ronaldo scored total of 113 goals in all competitions in his career for Manchester United. Later in 2009, Real Madrid successfully bought Cristiano Ronaldo at a record fee signing 94 million Euro of that time. and the rest is history. Real Madrid going through trophy drought ended when Ronaldo helped Madrid to win 2 La Liga Title, 2 Copa Del Rey,3 Club World Cups, 2 UEFA Supercups and also 4 UEFA Champions League back to back, 3 in a row, being first ever club to win UCL twice and later thrice in a row. Cristiano Ronaldo had a prolific goal scoring record becoming all time top goal scorer for Real Madrid. He has scored total of 450 goals for Real Madrid in all competitions with number of prolific records including 311 goals in La Liga, 105 goals in Champions League and remaining goals in other competitions becoming fastest player to reach 150,200 and 300 goals. Cristiano Ronaldo became all time UCL topscorer and top assists with 120 goals until now. Also scoring 17 goals in a single UCL season for Real Madrid.Cristiano Ronaldo is also the FIFA Club world cup all time top scorer with 7 goals until now. Cristiano Ronaldo is only player to score 50+ goals in 5 consecutive seasons for Real Madrid. Cristiano Ronaldo is also the highest active international goal scorer at present scoring 85 goals for his country Portugal. Recently, Cristiano Ronaldo scored 4 goals in FIFA World Cup 2018. He scored hattrick against Spain during his first fixture in recent FIFA World CUP 2018 edition, being the first player to score hattrick against Spain. Cristiano Ronaldo's FIFA World Cup 2018 campaign ended against Uruguay in Round of 16. Today Cristiano Ronaldo has achieved numerouss awards and records with him. Ronaldo stands as one of the best player in the world along with Lionel Messi, both winning 5 Ballon d'Ors and 4 European Golden boots( Messi 5 Golden Boots) in their bags. Who is the best player amongst two of them has always been a debate to the football critics and their fans for years.